An energetic blend of music filled the atmosphere at McKinley West as over 10,000 participants, a.k.a. 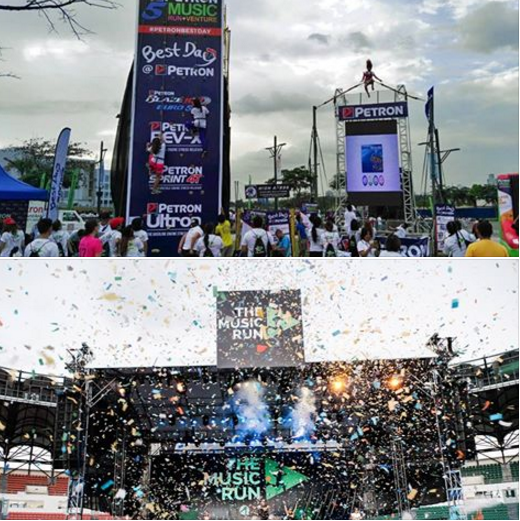 Music Runners™ ran, danced and partied at the second edition of The Music Run™ by Philam Vitality. 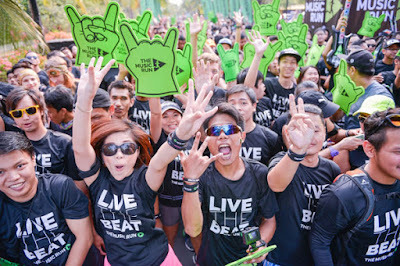 The event, hailed in other countries as the Ultimate 5k Running and Music Festival, returned to Manila bigger and bolder following a smash-hit debut at the Philippine Arena last year. “Through The Music Run™, Philam Life offers Filipinos a chance to stay fit while having fun. Last year was a really big success and we were inspired to bring it closer to more runners this year,” said Philam Vitality Deputy Head Kats Cajucom. “This was made possible with the Philam Vitality program, a first of its kind, full-scale wellness program where members get rewarded for making healthy choices. Through Philam Vitality, we are taking active steps to positively transform the lives of Filipinos by helping them to live longer, healthier and better lives,” she added. Music Runners™ were also treated to endless music and fitness-inspired entertainment in the Music Village courtesy of event sponsors. Petron hosted five fun and challenging activity stations, which included a 10ft high rock-climbing station, a nine feet high ‘Bungee Fun’ jump, a VJ Booth, a ‘Blaze 100’ Velcro jump wall’ and also PS4 Dance games for participants for all Music Runners™ to enjoy. At the Alcatel booth’s basketball challenge station, an Alcatel Pixi First phone was given away to the best scorer every hour. Alcatel Shine Lite smartphones featuring remarkable camera qualities were also won by Music Runners™ who dressed up in the theme “Dare to Shine,” as well as a Music Runner™ who struck the Best Pose at their photo booth. “The Music Run™ is not just another fun run. It aims to bring our running experiences to new heights of excitement. The Music Run™ first made waves in Asia and now it is sending waves of good vibes in cities around the globe,” said Martin Capstick, Chief Executive Officer and Co-Founder of Exceed Sports and Entertainment, event promoter of The Music Run™ in multiple cities in Asia. “We are really glad to experience the Filipino energy once again. We hope that even after this run, more Filipinos would become inspired to take up healthier ways to have fun,” he added. Launched in 2014, The Music Run™ is the ultimate 5k running and music festival. For music lovers, casual runners and fun seekers, The Music Run™ is more like a party than a run - it is the only 5km fun run that puts music at the heart. The Music Run™ empowers participants to control the soundtrack of the run by voting for their favourite songs in the build up to the Event. The songs with the most votes via a bespoke ‘Music Voting App’ made up the official run playlist.